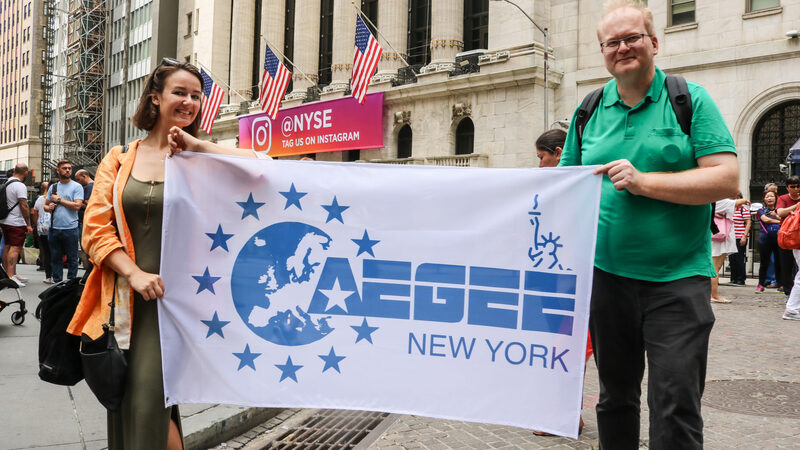 No, there is no AEGEE-New York. In case this year’s April’s Fool joke on the Golden Times Facebook page raised high hopes, I sincerely apologise. However, it actually played with an old AEGEE dream: to expand to where no antenna has been before. AEGEE started very small. At the founding conference in April 1985 only students from the ten European Community countries were accepted, plus students from Spain and Portugal – these two countries were joining the union in 1986. Since the founding idea was to foster the integration process of the European Community, the expansion of the network was limited to this area. Soon, however, many members wanted to expand more, to carry the gift of AEGEE to all European students. So in 1989 the EFTA countries in Scandinavia, Austria and Switzerland were accepted. At the same time also the democratization beyond the Iron Curtain gained speed and also Contacts and locals in those countries were accepted. 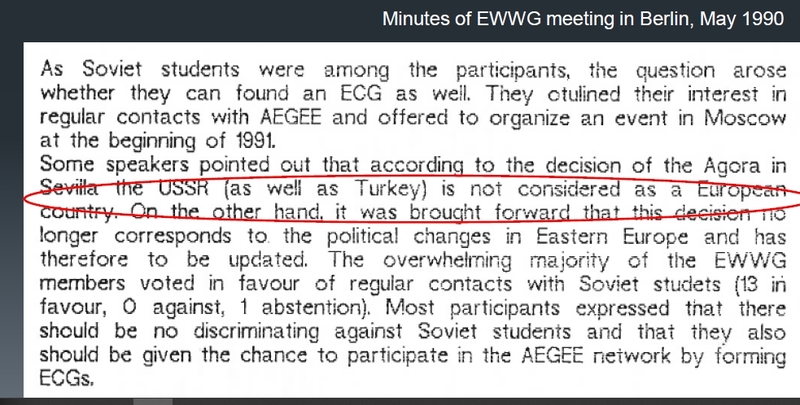 In 1990, the definition of the borders of AEGEE were: “all over Europe, where democratic elections have been, without the USSR and Turkey”. Soon however, the network expanded to the former Soviet Union, Turkey, former Yugoslavia and Cyprus – and in the last decade finally AEGEE got its first antennae in the Caucasus region. AEGEE has a very inclusive definition of Europe. The Caucasus is for us a part of Europe, Turkey too and even when it comes to Russia, we don’t draw a border at the Ural mountains. 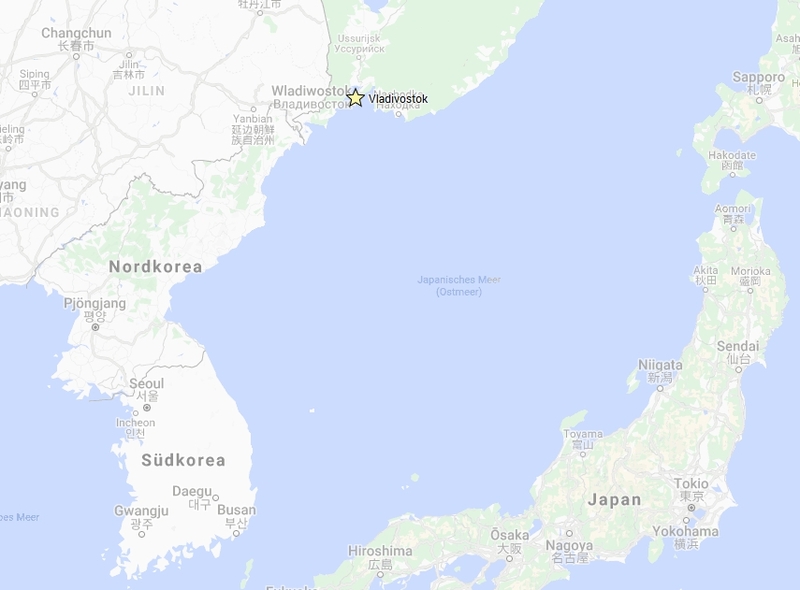 AEGEE even had a Contact in Vladivostok at the Pacific Ocean from 1997 to 1999 – although no one ever met the members. But should that be the end? Where should AEGEE end? This is a question that was raised many times. For students from Mediterranean antennae Casablanca and Tunis are a lot closer than Saint Petersburg and Helsinki. Also, people raised the questions of mentality – what to do with countries that are not in Europe, but have a similar mentality? It’s the same debate that led us to accept Australia to the Eurovision Song Contest. At AEGEE-Europe’s 10th anniversary celebration in Groningen in December 1995, some members performed a sketch about their vision of an Agora in 2005, when the worldwide expansion of the network had already happened. A few people really dreamed that there might be an AEGEM one day – with M for Monde. And of course there are fun legends like the one of AEGEE-Europe Honorary Member Michiel van Hees, who created a bank account under the name of AEGEE-Sydney during a trip to down under. AEGEE finally chose a different path. Since it happened now and then that people outside of Europe asked whether they could be part of the network by founding an outpost, or since it happened that AEGEE members moved to other continents for work and study reasons, the Agora adopted the Connections Proposal at Agora Bucuresti 2003 – the Agora that actually took place in Constanta and not in the Romanian capital, but that is another story. The Connections were essentially Contacts under a different name outside of Europe – and without any perspective to sign the Convention d’Adhesion and become a real local. The Agora prytanium strongly supported the idea and so it became part of the CIA. However, despite the initial enthusiasm only in one city there was a Connection established: in Tomsk. Today, students in Tomsk could simply create an antenna, as we set a precedent with AEGEE-Tyumen; but in the 2000s AEGEE did not allow Contacts in Siberia. Connection Tomsk existed until 2008. And in Spring 2010 the Connections were deleted from the CIA. Why did the idea of the Connections fail? On first sight the idea has a strong appeal: it offers the chance to make projects together, for which nice grants might be available. A real Summer University in New York City would also probably be a huge success. In the end it probably failed because the idea wasn’t really promoted and that the benefits were not strong enough. Connection might also not have been the best name. In any case: it’s probably just a matter of time. until the discussion will pop up again. And who knows? Maybe one day there will be a Connection New York – or however it will be called – organising a great SU. I would go.